Whether you’re worried about a storm surge, landslide, flood, fire, or downed power lines, there are many ways that Mother Nature can disrupt business. With our increasing dependence on voice and data systems, it’s important to have a good backup plan in place, just in case. Business Phones Direct is partnering with industry leader eFolder to provide an easy solution for business continuity and disaster recovery. We want you to be able to focus on rebuilding, instead of scrambling to piece together important business data. That’s why we offer a data protection system that virtualizes your data and runs your server as-needed in the eFolder Cloud for safe storage. Everything is encrypted and secured using the latest industry standards for data security. Your data is always available and easy to recover if there is damage to your onsite equipment. We recommend a good data backup solution for any business that relies heavily on their IT systems for financials, customer information, communications, and project data. 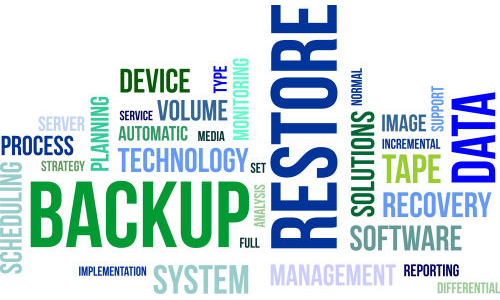 By working with our team, you benefit not only from the best data backup and recovery solutions, but also our decades of experience. We can help you create a solid disaster preparedness plan for your IT systems, so you’re not caught unawares. Don’t wait for a storm to hit.